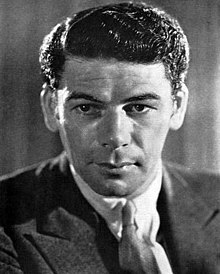 Paul Muni (born Frederich Meshilem Meier Weisenfreund; September 22, 1895 – August 25, 1967) wis an American stage an film actor wha grew up in Chicago. He stairtit his actin career in the Yiddish theatre. During the 1930s, he wis considered ane o the maist prestigious actors at Warner Brothers studios, an wis gien the rare privilege o chuisin which pairts he wantit.